When you bring your dog home for the very first time, he or she quickly becomes a member of your family — eagerly greeting you at the end of each day and staying by your side throughout the ups and downs of life. As a pet owner, it is your responsibility to make sure that your dog is properly cared for, from providing the right food to taking him to the vet to making sure he gets enough exercise to stay healthy. The last area in particular can be challenging for many dog owners, especially for those are unable to take their dog on regular walks because they work full-time throughout the day. A dog walking service can fill in this gap, offering regular exercise to house-bound pets who otherwise might be stuck inside all day. So, how do you go about choosing a dog walking service? Unlike many other professions, dog walkers are not tightly regulated. Anyone can advertise themselves as a dog walking service, even if they lack experience and credentials. A dog walker will have access to your home, and will be entrusted with the care of your dog. That is why it is so important to do your research before hiring a dog walking service. Here are four things to look for before hiring a dog walker. One of the best ways to know whether a dog walking service is reliable and trustworthy is through the recommendations of people who have used them. Knowing that a dog walker is taking good care of other people’s pets will give you peace of mind when hiring a service. Start by asking the professionals — your veterinarian, vet tech, groomer, or trainer may all have ideas for who to contact. They may also be able to recommend someone who has experience or skill in handling a dog like yours (breed, temperament, health issues). You can also ask shelter workers or pet store owners for ideas; they can tell you who they hire to walk dogs or if they have heard anything bad about a particular dog walking service. Next, turn to family and friends. While they may not be experts in the field, they will likely know your dog well, and may have personal knowledge of specific dog walking services. Ask them who they use to walk their dogs, and whether or not they would recommend them for your own dog. Finally, in 2017, it is only natural to turn to the internet to look for recommendations — especially if people that you know do not have specific recommendations for a dog walker. Google dog walking services in your area, and scan the websites of any local dog walkers (if available). This will give you a good idea of their rates, policies, availability and services. Once you have chosen a few options, do a deeper search to look for reviews for the service on sites, like Yelp or ones that are geared specifically to dog walkers. Remember that there may be some glowing reviews that are fake or some scathing reviews that are exaggerated. Thoroughly consider both good and bad reviews before deciding to contact a dog walking service to schedule an interview. Many people assume that to be a good dog walker, all it takes is a love of dogs. However, the best dog walkers are the ones with professional experience in working with dogs who can provide proof of their skills and training. Talk to a potential dog walking service about how long they have been walking dogs, and what their training and discipline methods are. A dog walker should be trained to provide first aid to your dog, and know what to do in the event of an emergency. Finally, a dog walking service should be licensed, insured and bonded, and should have written policies and contracts — even if they work for themselves on a part-time basis. Insurance can help to protect against incidents that may occur when the dog walker is out with your pet, and a bond can protect your home in the event that a dog walker is untrustworthy. A written contract and policies can help minimize future disputes, and spell out the responsibilities of both the owner and the dog walker. Remember that dog walking requires commitment, as the person will be required to show up at your house and walk your dog every day for months or years. Having training, qualifications and documentation will not guarantee that they will be good with your dog, but it does tend to demonstrate that they will be there for the long haul. Logistics are a critical part of dog walking. If a dog walker cannot provide details about when, where and how long they will walk your dog, then they will not likely be a good choice as a dog walking service. Dog walkers should be able to provide basic information about where they will walk your dog each day, and if the route or area will vary. They should be able to tell you how long your dog will be walked, and the rates for these walks. If your dog will be transported to another location for a walk, the dog walker should be able to tell you what kind of vehicle he or she will be in and how your dog will be restrained. A dog walking service should be able to tell you who will be able to walk your dog, and what will happen if that person is unable to be there. A dog walker should also be able to tell you whether your dog will be walked alone or with other dogs. 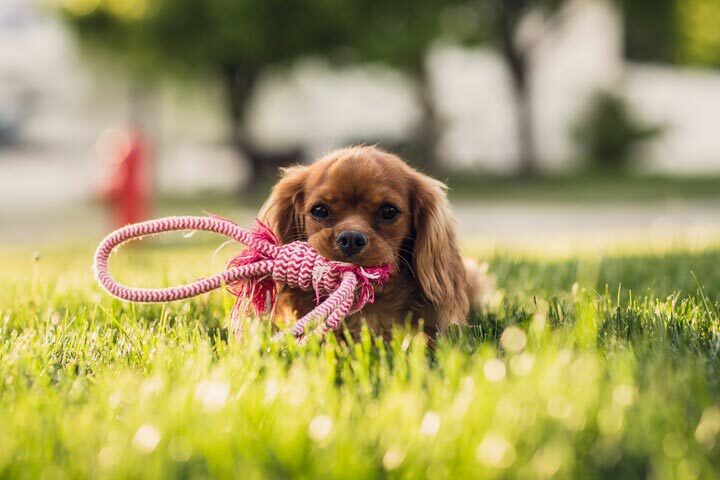 While flexibility may be required to a certain extent, a dog walking service should be able to set a reliable schedule for your dog, as they tend to thrive on routine. If a dog walker cannot provide this information, then it may be time to consider a different dog walker. A dog walking service should also have a plan in place, such as a log book, to let you know that the walker was there and that your dog went to the bathroom while on his or her walk. Even a dog walking service with the highest credentials will not be a good fit if the person who is walking your dog doesn’t get along with him or her. Ask a potential dog walker if they offer a free consultation, or a meet and greet. This is an important trial run to determine if the relationship is going to work. Many dogs act differently with new people than they do normally. A consultation is a great opportunity to see not only how your dog behaves, but to see how the dog walker responds. For example, if your dog is shy and not warming up to the person, does he or she try to force interaction, or sit back and let the dog get used to him or her? Carefully observe how they get along, which may be the deciding factor in whether or not you hire a particular dog walker. Next, ask the potential dog walker to go for a walk with you and your dog. Have them do the entire process, from putting on the leash or harness to getting out the door and going on a walk. Watch to see how the dog walker handles challenging behavior and how he or she interacts with your dog. Remember that the dog walker will be alone with your dog daily, and you want to feel confident with how your dog is being treated during this time. During this consultation, ask the dog walking service questions about your dog’s specific needs, such as medical or behavioral issues. Talk openly and honestly about your dog’s issues, and listen to how they respond. If you do not feel comfortable with their response, it may be a sign that you should interview other dog walking services. Make sure that your dog walker is comfortable deferring to you when it comes to your dog’s needs, such as not taking your dog places where kids will be or giving your dog extra time to get down stairs. While the walker may have training or expertise, you know your dog better than anyone else and your judgement should be respected as its owner. The consultation may be the most important part of the process of choosing a dog walking service. Training, qualifications and experience will not count for much if your dog is not comfortable with the dog walker or if the walker cannot handle your dog. Remember that in order for this relationship to work, the dog and the walker have to actually like each other — so keep this factor in mind when interviewing dog walking services! Daily exercise is critical to your dog’s health and safety. If you cannot walk your dog during the day, consider hiring a dog walking service to help make sure that your dog gets the activity he or she needs to stay in top form. The above tips can help you choose a dog walker that will safely provide both exercise and attention to your dog on regular walks. Contact Paw Pals today to learn more about our dog walking services!